I'm sorry to see the World Cup end. Not because of the soccer (didn't see a match because we don't have television), but because of the vuvuzelas! Of course, I know for a fact there are millions, if not billions, of people right now thankful the World Cup's over soley for the reason that they don't have to listen to the vuvuzelas anymore; thankful that there's no other reason to get them out and blast us all to kingdom come. Maybe NOT golf or chess. See! 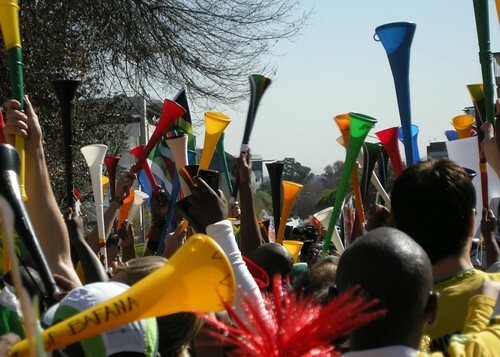 There are MILLIONS of reasons to use one of those loud, plastic, South African noisemakers.